I've worked on some chat lines in the past and also have done many private readings. Here are a list of testimonials that I am honored to have received. "Jean Maurie is understanding and how to help you when you feel down. She cheers you up and guides you the way. " "She's inspirational....thanks for the positive reading!" "I really enjoy speaking with Jean Maurie. She is like my own cheerleading team, and need that right now. She is very accurate, and has a wonderful spiritual quality. I'll keep coming back. Mary"
"I always feel a new strength and focus after being with Jean... she just cuts through the cloudiness and helps you see the heart of the issue... I love her perspective!" Jean Maurie always makes me feel so much better after a reading. she's great!" "I just had the best reading! Thank you. You were very insightful, and told me something I never even told anyone before. I am very grateful for your advice. This psychic is great!!" "as usual.. Jean Maurie is wonderful! i love talking to her... she is kind and understanding... thank you so much for listening.. my God bless you :o)"
"She is the best...If its there..She will find it. Don't doubt your heart! Jean Maurie will tell you the truth and guide you the correct way!!!" "I always loved talking to Jean - she's really nice and comforting and most of all - positive! Thank you, Jean!" Jean Maurie is wonderful and very gifted." "She was right on. We have discussed the very things she brought up. She was wonderful." "She is great. I especially love her email readings. They are so rich and detailed. You have to get one from her, you won't be sorry :)"
"Wonderful! Made me feel so understood. I had to come in and thank her for the email reading I ordered. It was so detailed. :)"
"Very insightful. Gave me some great things to think about. " "Much better reading this time. She has helped me deal with a VERY difficult situtation. Thanks." "Jean and her angels and wonderful as ever"
"She's the only psychic that inspires me to do what I'm supposed to do and she's very accurate! A great person to speak with and a great friend to know... Thanks, Je, you've really made my day since the day we met..."
"I have a good connection with her and understand the love card book and astrology. We seem to be on the same level and she has not waivered with her outcomes....Bless you..."
"Down to earth and reassuring of what I already felt....she gave me insight to why I have certain feelngs and gave me a strong push in the right direction. Thanks"
"She's my special "angel" and friend!" "Thank you for your help. I will let my angels guide our way." "Always love talking with Jean 'cos she always make me feel comfortable and at peace no matter what happened before. I will always feel much calmer after talking with her. She's my Guardian Angel on earth! Thank you so much, Jean Maurie!!!" "Amazing...answered my questions before I asked them! She's so sweet and loving...made me feel so at peace." Jean brings so many things into perspective.... she is so insightful and on target!!!! Thank you so very much!" "She's so sweet and loving...and tuned right into the situation...we just connect...I'm amazed at the things she knows! So glad I met her." "I enjoyed the reading, and she gave me some helpful insite." "She is so outstanding!!! Every time we visit I come away feeling as if I can go out there and do what I need to do - get passed the fear and anxiety and take care of business. She is so gifted!!!! Thank you!!!!" "She has insight into your situation and can offer great advice. " "She's an angel...such a blessing!" "she was exellent and made me smile and really take heart and think good thoughts"
"answered my questions very truthfully was a great help"
"Sorry we ran out of time.........but you were absolutely excellent!! Thank yo for the wonderful insight!" "I LOVE HER, she makes you feel at home and has a wonderful sense of humour, and never judges you but tells you like it is. She makes you feel loved." "She's such a dear---I just love her!" "I Love Jean!!! She is so kind and unbiased and unjudgemental!!! Great asset to have here!!!!!!!!!!! God Bless!!!" "Such a warm hearted person to talk with...She always does right by me :)"
"i will try to follow advice given, she is very understanding." "Jean provided insight...when I first talked to her...She mentioned that Pat (ex-hubby) was my greatest teacher...I didn't see it...until recently, I finally understood what she meant." Jean Maurie really helps talk me through the issues that I am facing in my life. I truly look forward to her uplifting manner when I come here. Get a reading from Angels, she will help you see your own light." "I just love talking with her...she always is on target"
Jean Maurie was so accurate and reassuring. I will be back for more soon!!! I would wait online for hours just to talk with her, she's the best!" "She is one great psychic and i highly recommend her to anyone. I would wait in line for a long time to speak to her. It is well worth it." "Excerllent really helps me see the funny and lighter side and wonderful what more can you say." "just a thank you - I can't afford a longer chat but what I got, helped." Jean Maurie is a good person. She made me feel much better. I enjoyed the reading and she was very encouraging about my situation." "Like talking to an old friend and offers great advice. Thanks"
"She is absolutely amazing. Always bring out my true feelings in a situation. Love her to death." Jean Maurie is absolutely amazing! She hits right on with everything, and while I'm going through a difficult time, she always makes me feel better. She is the greatest!" 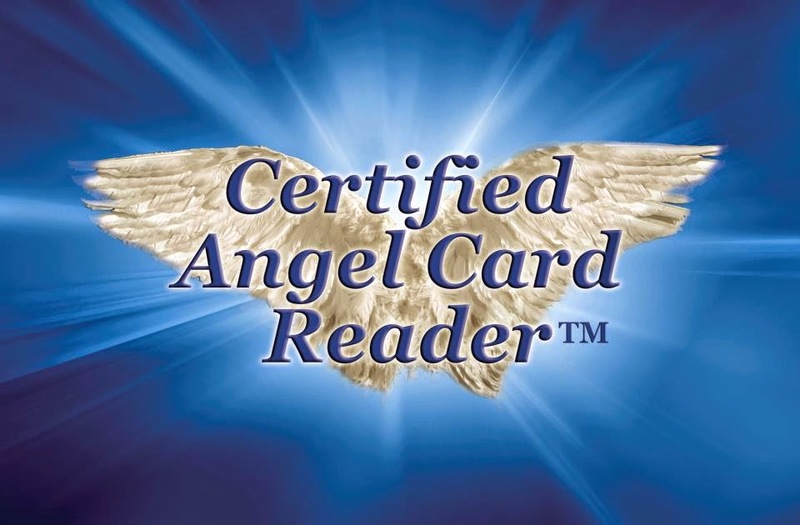 "Her insight was fantastic and very helpful"
"Thanks for all the advice that you have given me on angels, books, different strategies, and the support for helping me go down this road. I appreciate all that you have done and look forward to more instruction and guidance." "Jean is very good:) She is patient and kind even when the computer boot kicks real hard! I will call her again:)"
"I felt one with her I loved the fact that she knew the kind of person I am"
"I got some great tips and she was very honest. Thanks"
"thank you for the message from my angels." "sooooo intuitive and helpful and reassuring and good, i feel really happy but i also want to cry? bizzare or what, but excellent nonetheless. xxxxxxxxx"
"Great reading. i LOVE her email readings, they are so in depth. The best "
"You have to get one of her email readings, they are wonderful :) Thanks Jean Maurie"
"Great reading! Very positive and gave me a lot of good insights and advice! I truly recommend her to others who are seeking psychic advice!" "Jean Maurie is awesome. Get one of her email readings too"
"she was excellent. it's like she was inside of my relationship watching everything!!" "She knew that I wanted to go into Hypnotherapy and focus on past life regression. She gave me the courage to open my psychic ability and believe in myself." "She is FABULOUS. Really professional, uplifting, honest, and a good teacher! I had to run to an appointment and did not have enough time to continue. She is worth the time and money!! Happy Holidays!" "Thanks again for another great reading -- your insights are always right on target, and I truly value your advice. (It was worth the extra wait!)" "She knew many details immediately. She was very loving and supportive and made me feel much better about problems that have been bothering me. I will use her again!" "was right on,felt like i knew her,she knew me gave me things i felt were true that i had been feeling in my inner self.helped alot." "she knew exactly what was on my mind, allayed my fears, and did not tell me just what i wanted to hear. she led the conversation in such a way as to comfort me and tell me things my intuition was telling me already! Thank you"
"she is the best psychic reader you have. i have tried other ones and its not the same. so far she has been right on everything. she makes me feel better about myself and life. thanks again "
Jean Maurie was great, answered all my question and to the point. Thanks"
"I just love talking to her. Makes me feel so good. " Jean Maurie is fantastic, wonderful always enlightens me and guides me thank you. I will be back to see you again." "Your my favorite! I am filled with light and love!.....Blessings...!!!.." "Thank you so much, I always feel so comforted and assured with my readings. She is accurate, caring and very right on. Recommend Highly!" "I enjoyed the reading and would like to talk to her again when I have more time. I felt that she is a warm, caring woman and would recommend her to others. She gave me hope to look forward and not dwell on past problems. "